ADTRAN, Inc. (ADTN) Stake Lessened by Eqis Capital Management Inc. 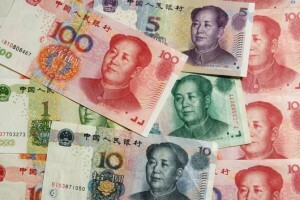 The national currency of China, the yuan, has fallen to its low of one year on Wednesday. The currency fell beyond 6.2 to one dollar for the first time since last April, amidst speculation in the market that the country’s central bank will maintain weak currency as the growth in the economy slows. The yuan fell over 0.8% this week after the People’s Bank of China doubled the trading band on Saturday allowed for the yuan, to 2% from the midpoint it sets daily. Spot yuan for a brief period fell to 6.204 in trading in the early afternoon before ending the day at 6.196. The loss for Wednesday from the close on Tuesday was 0.07%, and it fell 1% from the midpoint. Analysts said that allowing the currency to weaken too fast and too far would just increase the stresses that companies in China are under as well as the broader economy. Some analysts expect the Chinese currency to come back to a trend of appreciation over the second six months of the year, but still end weaker in 2014 for only the first time since the central government unshackled it from the fixed exchange rate it had to the dollar 9 years ago. Since 2005, the currency has increased in value by over 30% attracting an increasing number of worldwide investors, both large and small, of which many have come to experience a one-way appreciation movement. Many market watchers have dialed back their expectations of China’s national currency revising forecasts for year-end on the yuan to between 5.98 and 6.08. While the slide recently in the currency is seen widely as a move that the central bank engineered to punish market speculators, it coincided with increased anxiety amongst worldwide investors that the risk that have been long standing in China might be reaching a boiling point. The Chinese economy clearly has lost steam over the first two full months of 2014 and increasing worries over debt following the first bond default domestically in the country are adding pressure to the stock markets and currency. Adding to those jitters is a flurry of media reports locally of troubled property and steel companies.